Michael Schwartz Dishes It Up for Royal Caribbean. On Royal Caribbean International’s Oasis-class ships, foodies flock to 150 Central Park, the much-admired restaurant created in partnership with Miami-based celebrity chef Michael Schwartz. On the line’s Quantum-class ships, cruisers can revel in the noted chef’s cuisine at onboard culinary standout Michael’s Genuine Pub. Regardless of where you get to dig in, here’s the skinny on Schwartz and his transformative restaurants at sea. South Floridians adore their state’s superstar. 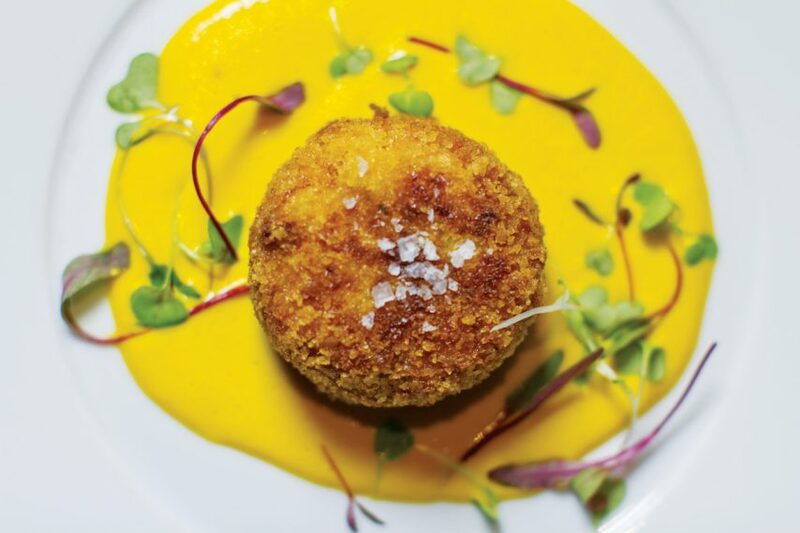 Schwartz debuted Michael’s Genuine Food & Drink in Miami’s Design District in 2007, and won the prestigious James Beard Foundation Best Chef: South in 2010. Today, his simple yet delicious dishes are based on responsibly and locally sourced ingredients, and lure locals and visitors alike. Harry’s Pizzeria, his nearby neighborhood eatery, also scores big; Food & Wine named it one of the country’s top 25 pizzerias. At 150 Central Park, the Michael Schwartz–designed modern American menu showcases primo artisanal ingredients prepared and presented with panache. The multicourse menu encourages repeat visits because there are so many choices to try. Among the enticements are lobster gnocchi and a lamb duo starring roasted loin and ground lamb stuffed in a sweet onion with apricots. Consider warm doughnuts with anise sugar, lemon curd, and chocolate sauce for a knockout dessert. On Anthem of the Seas, passengers flock to Michael’s Genuine Pub for casual plates exuding amped-up flavors. Think deviled eggs with smoked paprika and parsley, chicken liver crostini with caramelized onions, and polenta fries with spicy ketchup. Wash down fish and chips, fried chicken, or outstanding charcuterie with stout, lager, ale, or a cool cocktail. Savoring Schwartz’s onboard flavors back home is easy. The chef penned Michael’s Genuine Food: Down-to-Earth Cooking for People Who Love to Eat, a thoughtful cookbook that’s chockfull of tasty recipes. Count kimchi quesadillas and jumbo lump crab cakes with carrot-butter sauce as two of many creative recipes. Schwartz’s twist on Buffalo wings delights diners at Michael’s Genuine Pub aboard Anthem of the Seas. The crazy-addictive sauce blends soy, tahini, ginger, garlic, and Asian chili sauce, and, as a recipe bonus, works on any grilled food. Rank the cooling….